Donald "Duck" Arthur Spacht, age 81, of Morgantown, passed away Monday, August 20, 2018 at his home following an extended illness. He was born June 19, 1937 in Lake Lynn, PA, a son of the late John and Ruth (Blaney) Spacht. Survivors include his wife of 54 years, Jo Ellen Morris Spacht; five children, Donald "Skip" Spacht and his wife Debbie of Mt. Morris, PA, Jozette Spacht of Morgantown, Robin Spacht and his wife Carolyn of Morgantown, Chellene Morrison of Morgantown, Scott Morrison of Morgantown; his grandchildren, Donald "DJ" Spacht, River Spacht, Jolene Bandy and Tristan Wolfe; five great-grandchildren; and one sister, Mary Ida Dunn and her husband Dickie of Morgantown. In addition to his parents, he was preceded in death by two brothers, Harold & Harry Spacht, and two sisters, R. Joyce Coffett and Alice Faye Spacht. He was a well known auto-body man locally for many years and retired from Osage #3 mine after 29 years of service. 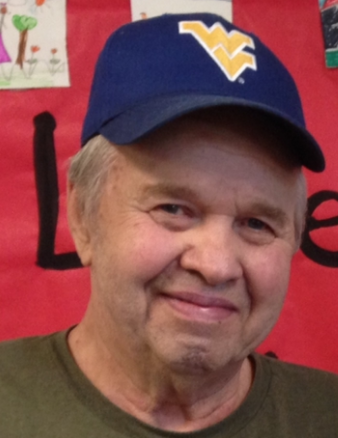 Friends may join the family to honor Donald's life & legacy at Smith Funeral & Cremation Care, 108 Holland Ave., Morgantown on Wednesday, August 22nd from 6-8 PM and again on Thursday, August 23rd from 10 AM until the time of the funeral service at 11 AM with Pastor Dan Meadows officiating. Following the funeral service and in accordance with his request, he will be cremated. The Spacht family wishes to extend their sincere appreciation to Morgantown Hospice for the wonderful care Donald received during his illness.